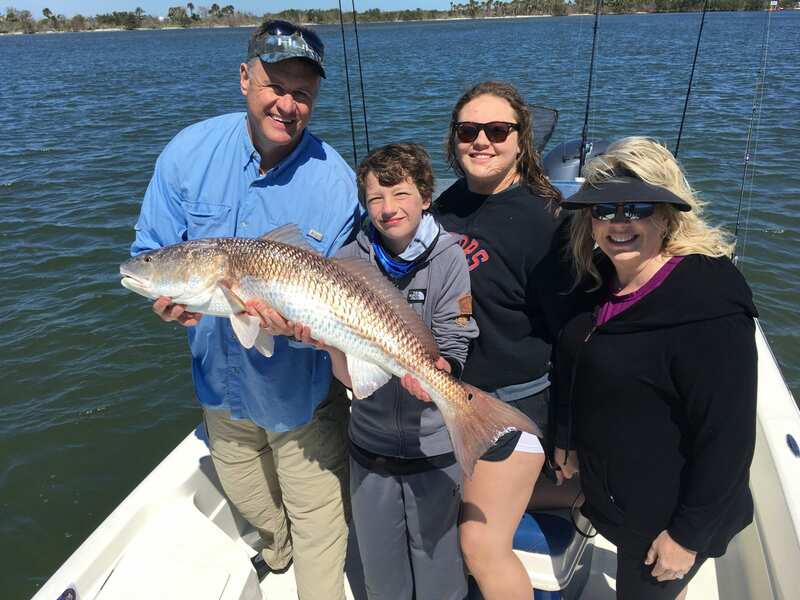 January fishing in central east Florida started off with a bang for 2019! The weather was much better than we expected, and the fishing in the near shore waters by Cocoa Beach was on fire. Bluefish, Tripletail, Cobia, Sharks, and King mackerel were the main species we landed this past week. This time of the year its all about the water temps in this portion of the state. Our fabulous weather that we’ve been having has the waters consistently hovering in the lower 70 degree range-perfect for making these species bite. On most days we are casting large chugger plugs over the tops of bait pods. The cobia, shark and blueish are blasting them and when you get a hookup it just about rips the rod out of your hands. The king mackerel are also very aggressive on the reefs. We could barely get a second bait out behind the boat before the first one had a fish on it. We actually started casting Rapala X-Rap plugs to the kings on a few of the days we ventured out tot he reefs. Tripletail action is really good right now as well. Live shrimp on a jig head vertically fished near structures like buoys and weeds are the best way we have found to get these fish to strike. These are some really good tasting fish so if you are looking to keep something for dinnre I highly recommend tripletaile. I hope the weather continues to be this good for another few weeks, because I just love taking my clients to catch these various species of fish. If you want to go out with give me or Captain Justin please call or go to our reservations page on the web site www.captainjimross.com and book your adventure today.